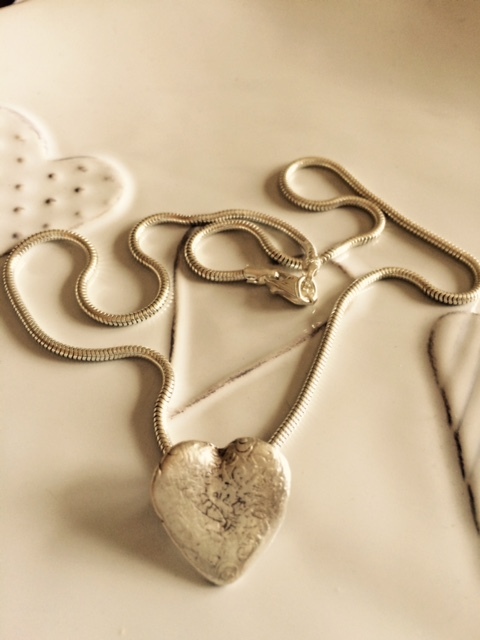 Delicate textured fine silver heart which has been gently shaped, suspended on a 16 inch omega chain or snake chain. The heart measure approximately 2cms x 2 cms. Please specify snake chain or omega required when ordering.